The theme of this week’s WordPress Weekly Photo Challenge is PEEK. 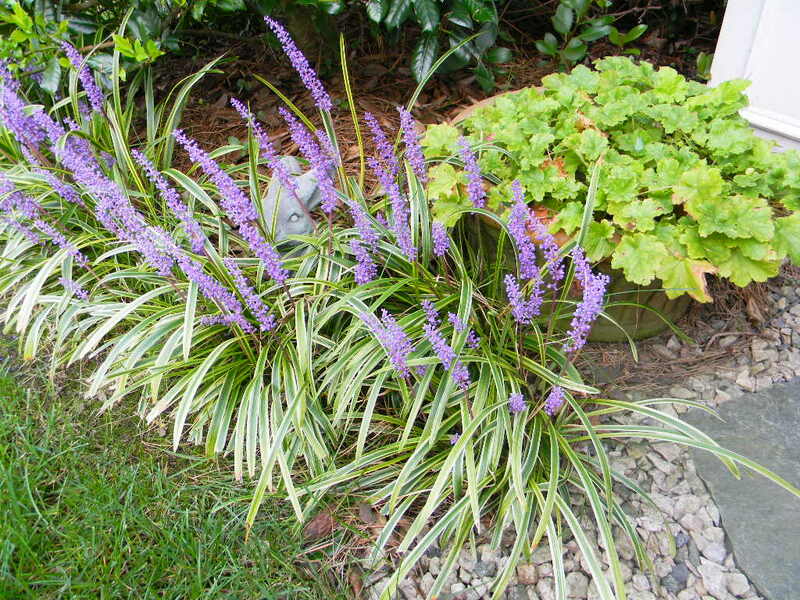 What kind of critter could possibly be peeking out from the liriope? This entry was posted in Nature, Photo Challenge, Weekly Photo Challenge and tagged critters, liriope muscarii variegata, stone rabbit. Bookmark the permalink. You are most kind, Cynthia. Thank you. Looks to me like a stone rabbit, John. 🙂 But it works. Thanks, Janet. Stone it is…one of my Arranger’s collection. I see him peeking out! He’s only stone in the daylight. At night he……well that would be giving it away wouldn’t it? I’ve been wondering what they do at night. I appreciate your sense of humor and whimsy for going along with my comment! At night/early evening they are perhaps free to do what rabbits do … I am thinking Watership Down.